I’ve written on these pages before how were it not for former Dr Feelgood guitarist Wilko Johnson, I wouldn’t be photographing live music. I won’t labour the story again now, though if it’s of any interest, you can read about it here. Suffice it to say that I love the man and his music and I will never tire of watching and photographing his brilliant live performances. Tonight’s brilliant live performance is an extra special one because it’s a homecoming gig. The venue is in Westcliff on Sea, heartland of the ‘Thames Delta’. From up here, you can see Canvey Island (Wilko’s childhood home) seemingly buried (it’s below sea level) in the estuary around five miles west. Wilko’s current home is even closer – he lives around the corner in Southend. It’s a homecoming for me too. I wasn’t born on Canvey, but the family home was close enough for a whiff of petrochemicals in the nostrils and the glow of the flare stack from Coryton Refinery, just over Holehaven Creek. 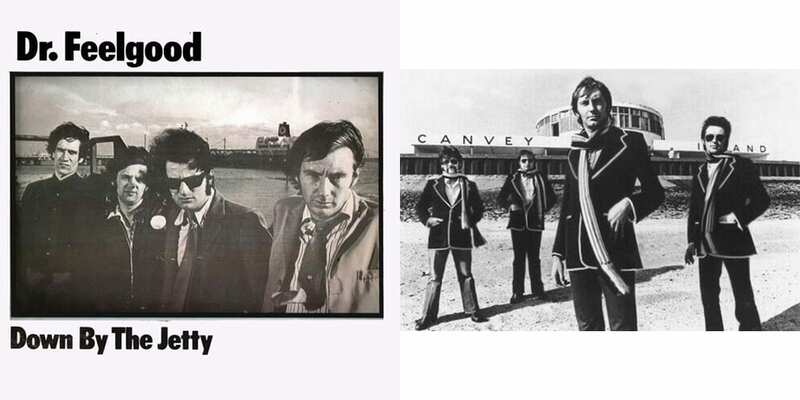 The refinery is referenced in Dr Feelgood’s music: “Stand and watch the towers, burning at the break of day” from All Through The City, a track from the band’s debut album Down By The Jetty. 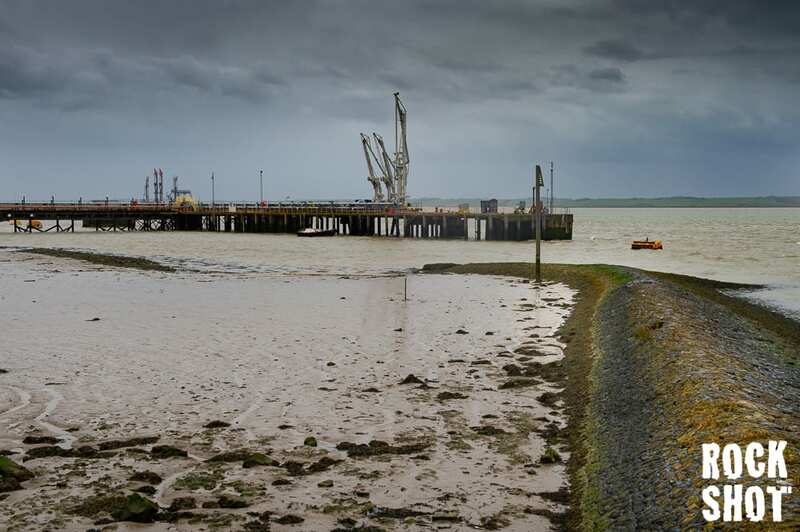 The jetty in question is within sight of the refinery on the south western tip of Canvey and is featured behind the band on the album cover. Anyone acquainted with the experience of traversing the Dartford Crossing on a Friday afternoon will be aware that if you’re not there by 4pm, you might as well not bother. With that in mind, I set off extra early and used the time I didn’t spend in a massive tailback on the M25 to good effect with a little pilgrimage to Canvey Island. 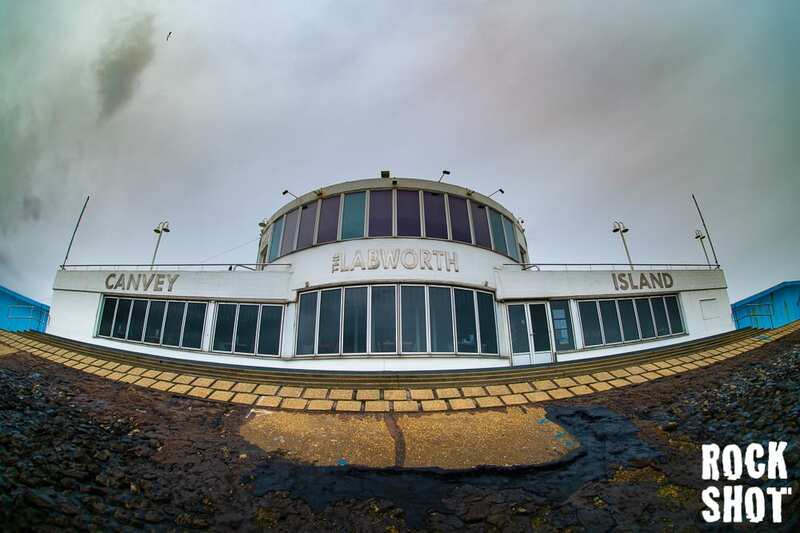 Taking in the air ‘down by the jetty’ and at The Labworth restaurant – a Grade II listed building on the sea wall that also featured as a backdrop to Dr Feelgood – albeit in a post Wilko era – is a little more pleasant these days; the refinery ceased operations in 2012. It’s just a short hop from here to the venue, the Cliffs Pavilion, so I arrive in plenty of time. I’ve got very mixed feelings about this place. Last time I was here, it was to watch Julian Clary in panto. Our handbrake cable snapped and we were stuck in freezing temperatures until 3am waiting for recovery. It doesn’t help that the theatre is a product of 1960s concrete – the sort of ‘monstrous carbuncle’ that would make Prince Charles spit out his cornflakes. With a capacity of over 1600, it’s the size of a multi-story car park, only with half the ambience. It’s all seated too. I accept that Wilko’s core audience has moved on since Dr Feelgood played the Kursaal just down the road (if you’ve not seen this video, you should – Wilko’s minute-long, two note solo at 6:30, whilst vocalist Lee Brilleaux gyrates in the filthiest white suit you’ve ever seen is the stuff of legend); but sitting down at a Wilko Johnson gig seems the most counter-intuitive thing on earth. Routinely playing to well over a thousand is a long way away from the days in the 1980s when I crowbarred myself with a couple of hundred others into the Kennington Cricketers to watch Wilko skitter about. Those were the days. 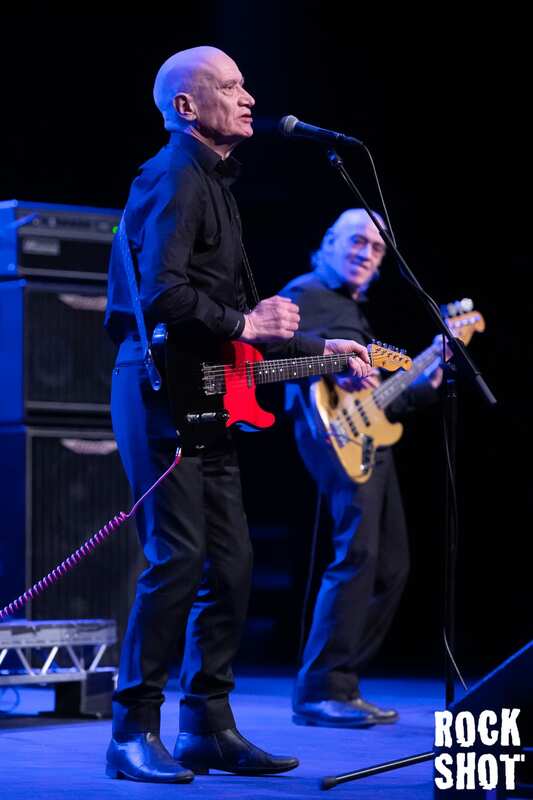 The resurgence of interest in Wilko Johnson following his cancer diagnosis and subsequent recovery a few years ago plus the passing of time means those days are gone. Sweaty, all standing pubs with sticky carpets have been usurped by red velour seating and little tubs of ice cream on sale in the interval. It’s progress, and you can’t halt progress. There’s been other progress in the last few months too. Wilko’s set list, which has remained largely untouched for years, has received an injection of new material courtesy of his recent album release Blow Your Mind. The band, dressed as always all in jet black emerged at nine-twenty and launched into That’s The Way I Love You, one of the new songs. 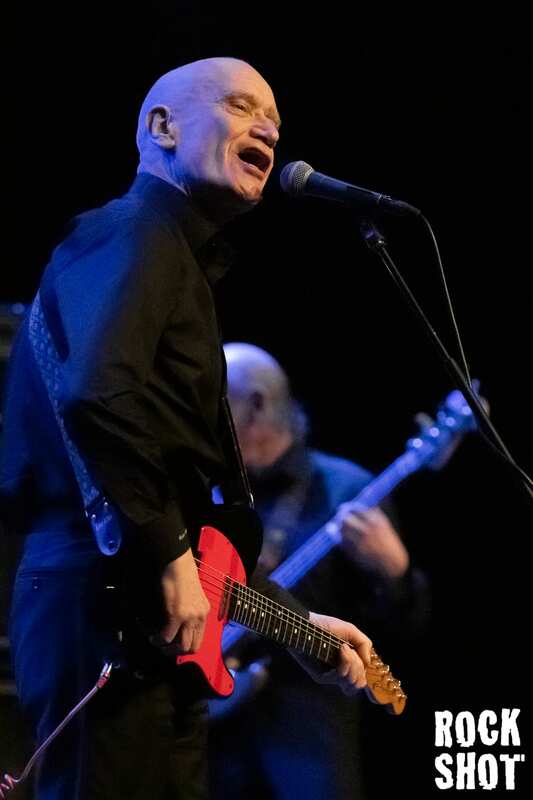 To be honest, it’s just like one of the old songs except it contains a reference to a mobile phone – but absolutely nobody cares because if there’s one artist on earth that doesn’t need a change of direction after having got it right for forty-five years, it’s Wilko Johnson. The band blast through song after song of tight R’n’B, and it is, as ever, just brilliant. There’s a nice mix of Dr Feelgood classics (Roxette, Going Back Home), post Feelgood favourites (If You Want Me, You’ve Got Me, Dr Dupree) and new stuff (Take It Easy, Marijuana), but the whole show revolves around a pair of epic long-form songs that give the entire band the opportunity to shine as bright as the Coryton flare stack. The first is When I’m Gone. 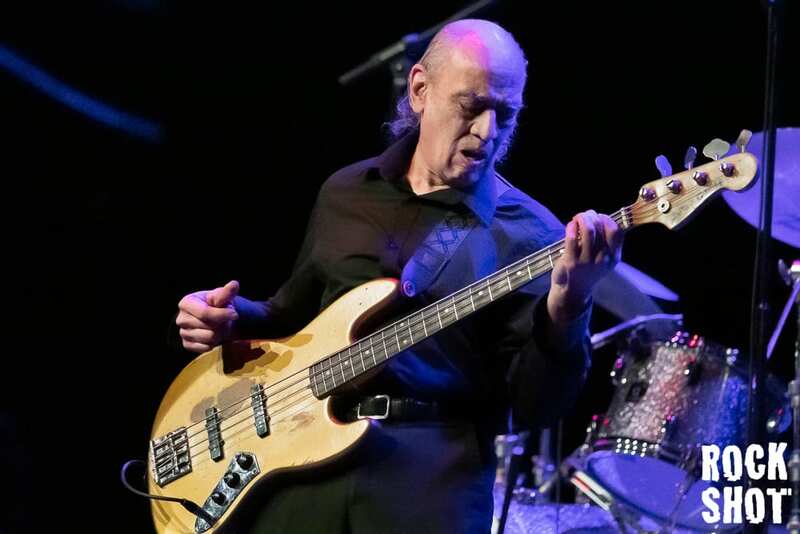 Wilko’s famous guitar style – stabbing staccato chords mixed with lead lines that come seemingly out of nowhere give the music room to breathe. They also give Johnson’s left-hand man Norman Watt-Roy the opportunity to fit more notes than ever seem possible into the gaps. Watt-Roy, most famous for the bassline that drove Ian Dury’s Hit Me With Your Rhythm Stick is one of the finest bass players on earth. The two met during Wilko’s brief tenure with The Blockheads in the 1980s and they’ve been musical cohorts ever since. 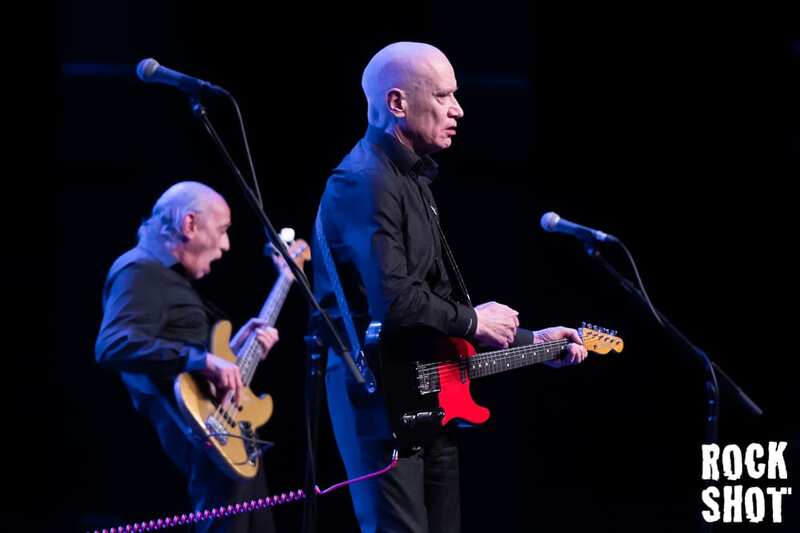 When I’m Gone is a joyous ten-minute romp featuring Norman incessantly playing sixteenth notes whilst Wilko struts left and right, holding his Telecaster like a gun. He alternates between pulling wide-eyed, paranoid faces and pretending to hose the entire audience with a stream of fake bullets. Watt-Roy is a man of slight build but notwithstanding this, he finishes every performance surrounded by a moat of his own perspiration. The effort he puts in would be an eye-opener for anybody, but factor in that he is sixty-eight years old and you truly appreciate just how great he is. If he were ever replaced by an animatronic, it would need re-oiling part way through the performance. The other long-form number is Everybody’s Carrying A Gun. It’s another masterclass in fingerstyle bass playing. Despite the title, in this one Wilko drops the malevolent intent with the guitar in favour of just walking stage left, folding his arms and smiling at Norman in admiration. There’s an opportunity for a short bass solo and everyone in the crowd goes nuts. Following this, drummer Dylan Howe, (another ex-Blockhead; also son of Yes guitarist, Steve Howe and husband of music biographer Zoë Howe) gets his opportunity to impress with an excellent solo of his own. Like all the very best drummers, Howe is fairly anonymous other than during this moment. If you run a very tight ship (and he does), you tend to go unnoticed. The show closes with two Feelgood mainstays, Back In The Night and She Does It Right. 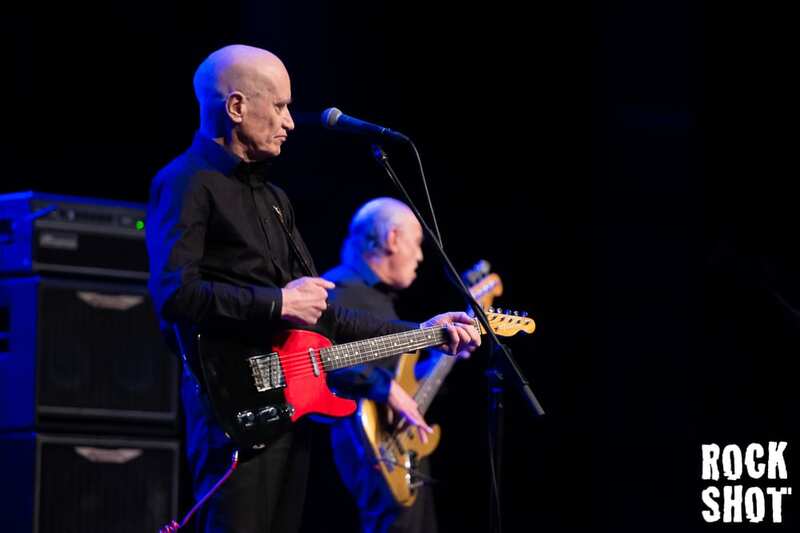 During the entire performance, Wilko has remained practically mute – other than to remind the audience he has a new record out they might like to buy. This is the way he likes it. 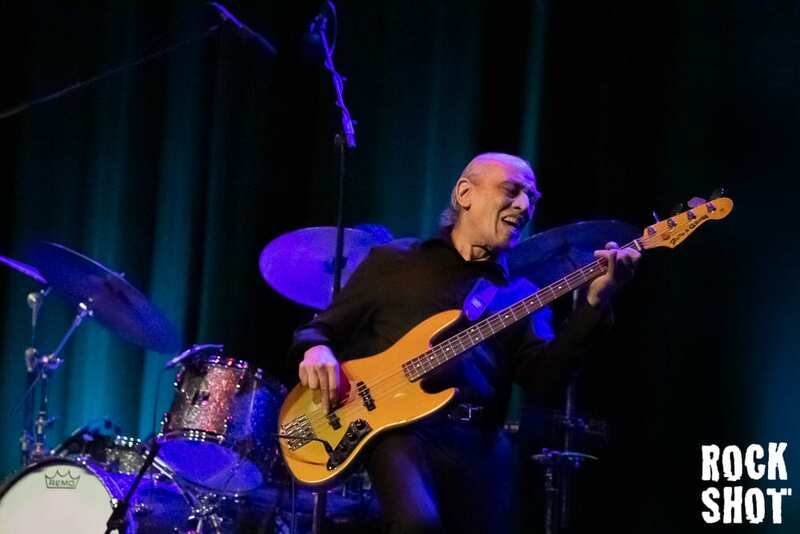 There’s no superfluous bilge in a Wilko Johnson show – it’s all about the music. The band go off and almost immediately come back on again to play an extended version of Chuck Berry’s Bye Bye Johnny. Wilko waves goodbye to the audience and the audience waves back. He was doing this whilst he thought he was dying of cancer in what became one of the most moving things I ever experienced at a gig. These days it’s a joy to know that our waves are an ‘until next time’ rather than a final goodbye. Until next time, Wilko, next time. 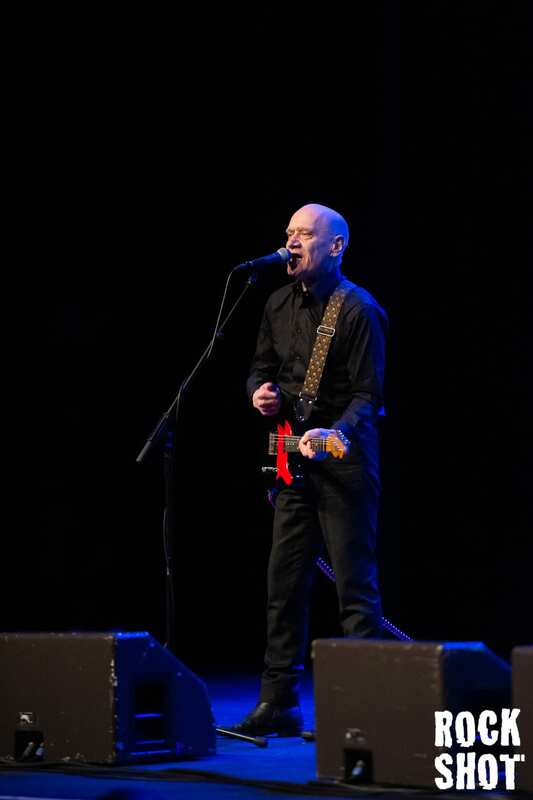 Wilko Johnson, live at Southend Cliffs Pavilion on 8th March 2019. Review and photography by Simon Reed. Simon has his own music photography site at: www.musicalpictures.co.uk.